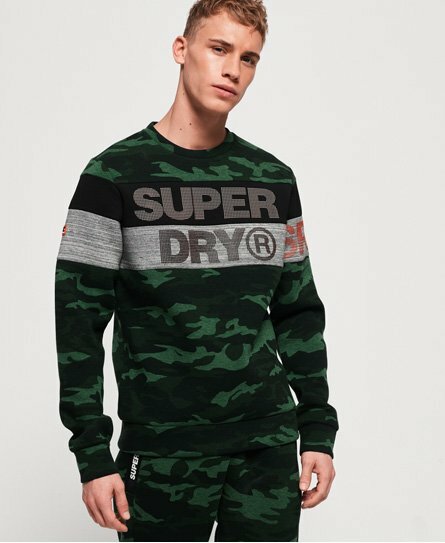 Superdry men’s Gym Tech cut crew sweatshirt. Part of the Core range, this sweatshirt is a staple piece for your workout wardrobe. The stretch technology allows unrestricted movement, and thermal properties make it great for wearing to and from the gym. The sweatshirt also features a crew neck, panel design and textured Superdry logo detailing across the chest and on one sleeve. The Gym Tech cut crew sweatshirt is completed with a small Superdry logo badge on one sleeve.